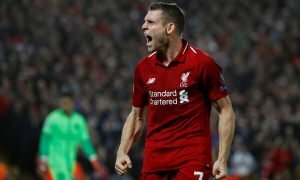 Rubin Kazan star's agent confirms vast interest in Liverpool target | The Transfer Tavern | News, breakdown and analysis on all things football! Liverpool fans in the Transfer Tavern sinking pint after pint in an attempt to forget about the weekend’s defeats have had their attention grasped by an interesting report from the continent. Talksport suggests the Reds are interested in Rubin Kazan midfielder Magomed Ozdoyev but the player’s agent has stated there is vast interest from across the continent. The 23-year-old Russian has impressed in the Europa League this season, part of the side that secured an impressive point at Anfield earlier this campaign. 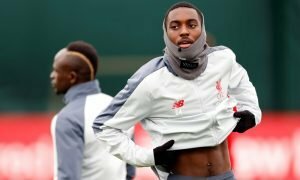 Whilst Liverpool had their heads turned by the player, Thomas Zorn has suggested the Reds face immense competition for his client’s signature. The Scousers at the bar have admitted they were impressed with the player’s performance against Liverpool but aren’t entirely convinced he’d be a good signing, stating they would shed a tear if they miss out here. Liverpool fans, what areas does your squad need to strengthen in January? Let us know in the comments below!